I have some almost finished. 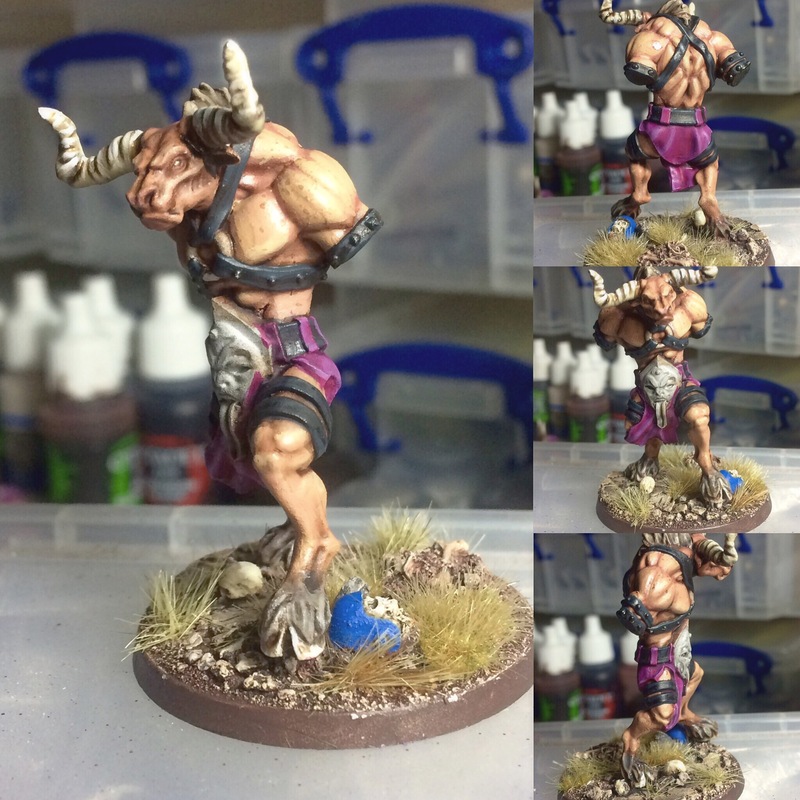 Here’s an in progress of my Minotaur. He needs a little more work, but he’s mostly done. 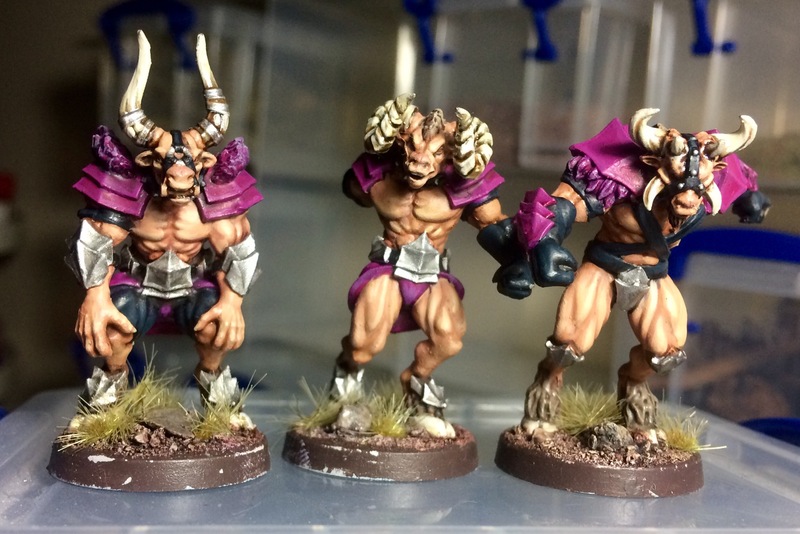 I have three Beastmen in a similar state. Now to get on with the Other 10..
I’ve just started an NVQ, and I’ve been a little sick. It makes me feel really lazy and I feel guilty for not prioritising my NVQ. But hey ho. I’m on holiday this week, so hopefully I’ll get some painting done.